Judging by its recent transportation legislation and subsequent actions, Indiana is leading the way toward this new model. It seriously contemplates the use of long-term P3 concessions as a procurement model for this ambitious plan. The legislation enacted this spring (HEA 1002) calls for an initial feasibility study—under way by HDR, Inc.—on toll-financed Interstate reconstruction and modernization, to be delivered by Oct. 31, 2017. The study is to include planning-level traffic & revenue studies for I-64, I-69, I-74, I-94, and I-465. Indiana DOT has already done such studies for I-65 and I-70, and HDR will do a risk-assessment for those corridors. The study also includes a statewide tolling survey, a review of legal issues, and economic impact modeling. In parallel with the HDR study, INDOT will study issues related to using long-term DBFOM P3 concession agreements for the Interstate modernization projects. “Under 23 USC 129(a), an existing toll-free bridge or tunnel may be converted into a toll facility as part of a project to reconstruct or replace the existing facilities. This applies to bridges and tunnels that are located both on and off the Interstate System.” FHWA last year approved a controversial Rhode Island program to charge (only) trucks for using a set of reconstructed bridges both on and off the Interstates, and that appears to have inspired the new Indiana approach. I have only one concern about what Indiana is doing. The HEA 1002 legislation requires the feasibility study that is now under way to review “the ability to provide discounts, credits, or otherwise lessen the impact of tolling on local, commuter, and in-state operators,” while also estimating “the number and impact of out-of-state operators expected to use Interstate highways in Indiana.” This is a predictable political ploy to use non-residents as cash cows to pay for Interstate reconstruction and modernization. This is questionable for at least two reasons. First, it may well be illegal. Last year the American Trucking Associations won an important lawsuit against the New York State Thruway Authority. The U.S. District Court ruled that the long-standing practice of diverting Thruway toll revenues to the New York State Canal System is unconstitutional. Why? Because it unduly burdened interstate commerce in violation of the so-called Dormant Commerce Clause of the Constitution. The same logic could apply to (a) border tolls, and (b) different in-state and out-of-state toll rates. Second, a provision such as this would be lawsuit bait for the trucking industry. Late last decade, a major four-state study of modernizing I-70 was carried out under a large federal Corridors of the Future grant. Participating in the study were the DOTs of Missouri, Illinois, Indiana, and Ohio and the state trucking association of each state. The preferred alternative the study recommended was to reconstruct the four-state corridor adding dedicated truck lanes along its entire length. Since the cost of this was far beyond what current transportation funding could provide, the consensus was that all lanes should be tolled and that a long-term P3 procurement approach would make sense. The four state trucking associations did not dissent from these recommendations. Setting up long-distance trucking companies to pay higher tolls than in-state firms would lead to large scale trucking industry lobbying against Indiana’s otherwise commendable program. In last month’s article “Developing Transit Service for the 21st Century,” I highlighted several steps transit agencies can take to improve their service with the end goal being a transition from service provider to mobility manager. This month, we’ll examine a paper by Tory Gattis of the Center for Opportunity Urbanism titled MaX Lanes. It examines how this new kind of transit system would allow more people to live and interact in cities while keeping living costs affordable. Gattis also recommends reforming land use regulations by removing excessive planning and zoning requirements. However, his focus is making mobility improvements to allow a greater number of jobs to be accessed within a given commute time such as 60 minutes. While some metro areas fare better than others on this metric, work by Adie Tomer and others at the Brookings Institution found that in most metro areas, very few jobs can be accessed by transit in 60 minutes or less. Part of Gattis’ solution is a network of bus-oriented managed lanes. Managed lanes move more vehicles through a corridor than general purpose lanes, thanks to variable pricing that prevents overcrowding the managed lanes. By also allowing uncongested trips for buses and registered vanpools, managed lanes could carry 50 percent more people per lane per hour than the general purpose lanes. In fact, two managed lanes could transport as many people as three general purpose lanes. For transit, managed lanes provide a “virtually-exclusive” busway that lets buses deliver reliable trip times. By increasing bus speed and removing congestion-related delay, managed lanes remedy two critical problems for buses operating in the same lanes as cars. Gattis points out that the alternatives to this don’t work. Adding free lanes to busy expressways in fast-growing metro areas does not reduce congestion longer term, while recent rail expansions in Atlanta, Dallas, Denver and Los Angeles have led to declines in transit ridership and increased congestion. Gattis’ proposed Managed eXpress Lanes or (MaX) Lanes’ main customer would be buses. Cars that meet the occupancy requirement, pay the toll, and/or have special features such as vehicle automation could also use the lanes. Transit buses could use the MaX lanes to provide a one-seat ride to various job centers around the metro area. The buses would circulate through the job centers, avoiding the need for most transfers. Similar to what I outlined last month, Gattis sees future transit service as much more than transit operators running bus or rail lines. Commuters could use affordable shared-ride services such as Uber and Lyft for first-mile or last-mile connections. Private and corporate buses would also be part of the network. Eventually, both the buses and these shared-ride services would be automated, leading to lower per-mile costs. Gattis developed his proposal, in part, by studying metro Houston. Given that only 7% of Houston metro jobs are downtown, a rail solution that focuses on moving people from suburbs to downtowns is doomed to fail. However, employing express buses on the nine MaX Lanes in the regional plan (which could be expanded to 14) could serve more than a million commuters. Autonomous platooning or larger buses could increase this number. Gattis sees many advantages to the MaX Lanes. First they would provide faster speeds than traditional transit. They would also allow single seat point-to-point nonstop rides. Buses in MaX Lanes would have adjustable and flexible routes; they would provide more service and may lead to competition. Buses could provide more customized service; if a downtown has jobs focused in two clusters, one south and one north, one route could focus on the south side with a second on the north side instead of some random point in the middle. MaX lanes are easily adaptable for AVs. Tolling would provide revenue to help cover the costs. Customers could use Wi-Fi to be more productive on express buses than when driving. Gattis’ paper has many strengths. By linking express bus and managed lanes, his approach helps strengthen both. By suggesting bus service on all managed lanes Gattis envisages a region-wide system as opposed to a one-off solution for just one part of the metro area. The paper has an excellent appendix that details managed lane projects across the country and is well-sourced. However, I have a few suggestions. I would like to see Gattis expand his work to arterial highways. The paper dismisses BRT as not particularly fast, but BRT operates on surface streets with a land-use connection. It is very different from express bus service that focuses on funneling people from multiple suburbs to various job centers. However, BRT service still operates at speeds faster than traditional bus lines. Such services should be expanded and linked with express bus service, since BRT is crucial to good metro-area connectivity. I would also like the study to include some cost estimates. It is true that express bus services are much cheaper than rail, but how much? Even a back of the envelope estimate would help policymakers decide. As I’ve noted in previous newsletters, although increases in fuel tax rates face much political opposition (especially at the federal level), public opinion surveys find that mileage-based user fees (MBUFs) are even less popular, at people’s current level of understanding. So a new paper in the Journal of Public Economics offers a fresh look at these two alternatives, via a sophisticated economic analysis of their social welfare implications. 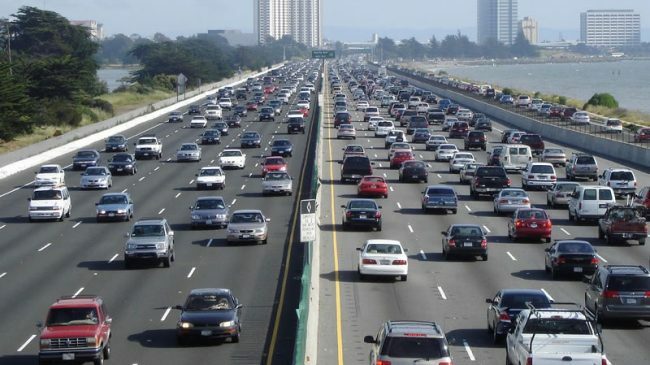 “From Gallons to Miles: A Disaggregate Analysis of Automobile Travel and Externality Taxes” is the work of Ashley Langer, Vikram Maheshri, and Clifford Winston. Their study used a large dataset on Ohio drivers, made available by State Farm Mutual Automobile Insurance Co. This enabled the researchers to make quantitative estimates of various parameters such as the range of drivers’ monthly VMT, fuel use and fuel taxes paid, age of vehicle, etc. Their base case compared the welfare effects of a federal gas tax and a federal MBUF (which they termed a “VMT tax”) in achieving two objectives: to reduce fuel consumption by 1% per year and to raise $55 billion/year for highways. To achieve the first would require a federal gas tax of 31.2 cents/gal. or a VMT tax of 1.54 cents/mi. To achieve the $55 billion per year in revenue, would take a 40.8 cents/gal. fuel tax or a 1.99 cents/mi. VMT tax. To their surprise, the welfare effects for both funding tools were very similar. Next, the researchers made two changes in their assumptions. First, they took into account the current CAFE standards that call for a new-car average of 54.5 mpg by model year 2025. Second, because vehicle externalities are much larger in urban areas, they assumed different VMT tax levels for urban and rural drivers (which cannot readily be done with fuel taxes). These changes produced strikingly different welfare effects. The largest change resulted from the differential in per-mile rates between urban and rural drivers: 2.4 cent/mile urban and 0.575 cents/mile rural. The overall results from the new assumptions was a 20% improvement in social welfare for the per-mile charge compared with the gas tax. That was due mainly to the reduced externality costs (congestion and emissions) because of the higher per-mile charge in the urban areas where most of those externalities are generated. The authors express some optimism that these results will increase the relative attractiveness of MBUFs over fuel-tax increases. I hope they are correct, because this is a transition we need to make. Full, Level 5 Autonomy Will Be Here within a Decade. In addition to academic researchers such as UC Berkeley’s Steven Shladover who projects Level 5 (all types of roadway, all weather conditions, no driver needed ever) as a 2075 phenomenon, a number of technology-literate commentators have begun throwing out caution flags. For example, telematics blogger Michael L. Sena headlined a recent issue of his The Dispatcher: “SAE Level 5 Driverless Cars Are Not Just Around the Corner.” He took issue with recent reports claiming that Transport as a Service (requiring Level 5) will be ubiquitous by 2030 nationwide. He also cited a thoughtful analysis by The Economist, headlined “Forget hype about autonomous vehicles being around the corner—real driverless cars will take a good deal longer to arrive.” Wired‘s Aarian Marshall had a piece in February explaining “Why Self-Driving Cars *Can’t Even* with Construction Zones,” discussing very real problems with machine learning. He also noted an announcement by Nissan that its current plans don’t include Level 5; instead, they assume a human occupant who can take over control when the AI cannot cope, and the human can contact a Nissan call center for help. Data from the National Highway Traffic Safety Administration show that while traffic fatalities to occupants of motor vehicles are still in a long-term downtrend (despite increases the last two years), pedestrian and bicycle fatalities due to collisions with motor vehicles have remained relatively constant. This is of obvious concern to bicycle riders, pedestrians, and their advocates. In particular, some such groups have argued that the solution is to redesign roadways as “complete streets” with fewer traffic lanes, lower speed limits, protected bike lanes, wider sidewalks, etc. Alcohol impairment was a factor in nearly 50% of crashes that led to a pedestrian fatality, with pedestrian inebriation nearly three times more prevalent than driver inebriation. Almost 70% of pedestrian fatalities occurred away from an intersection. In a study of pedestrian crashes in Baltimore and Washington, pedestrians were determined to be at fault in 50% compared with driver fault in 35%. National data show that nearly 80% of fatally injured pedestrians performed at least one inappropriate action, such as darting out, failing to yield right of way, etc. ; that was true of only 36% of bike fatalities. Unilateral vehicle detection and pedestrian notification systems. The bilateral systems are premised on universal availability of the flawed DSRC technology that NHTSA wants included in all new motor vehicles, or on cell-phone or wi-fi networks. As of 2014, when this report was written, none of the potential systems had been deployed, and all had disadvantages and unresolved questions. Unilateral detection and driver notification seems more promising, with systems that combine camera and radar appearing to be the most feasible. The report notes that eight such systems had been implemented (as of 2014) as optional vehicle add-ons, and that growing numbers of vehicles are being equipped with forward vehicle collision warning systems and were likely to soon have automatic emergency braking. Far more problematic were systems aimed at equipping pedestrians and bicyclists with systems that look behind them and warn of an approaching vehicle. A few such systems were on the market in 2014, but certainly most pedestrians were unaware of them and unlikely to spend money on them. As I was researching this article, I came across an Autoweek article from May 12, 2017 discussing a system available since 2013 on Volvo automobiles. 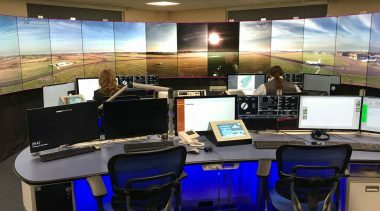 The system uses both radar and a camera—the former to detect the object and the high-resolution camera to determine its type. Moreover, if a collision risk is imminent, the control system sends an audible warning and automatically applies the brakes. New I-73 Will Be a Toll Road. A new 80-mile Interstate 73 will be built from the North Carolina border to the Grand Strand coastal area of South Carolina, now that SC DOT has received the required construction permit from the Army Corps of Engineers. 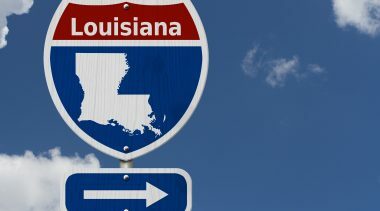 Since federal funding like the 90/10 funding that built the original Interstates is not available, the new four-lane highway will be funded by a combination of toll revenue bonds, state highway money, and possibly some modest federal funding. Legislators are also considering a public-private partnership procurement model. Tolled Flyovers Going Forward in Austin. 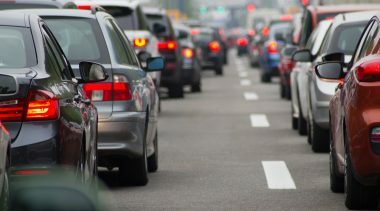 The Central Texas Regional Mobility Authority has reached an agreement with Texas DOT on the flyover connectors to be built where CTRMA’s US 290 East toll road intersects TxDOT’s SH 130. The two flyovers from SH 130 to U.S. 290 will be tolled at 55 cents, but the one from 290 to SH 130 will be paid for by TxDOT and not tolled. Tolled flyovers and overpasses are being pioneered in Texas and have been proposed in other states for arterial overpasses and underpasses. Express Toll Lanes Network Expanding in Greater Los Angeles. New links in what will eventually be a four-county regional express lanes network are being approved and funded in Orange and San Bernardino Counties. 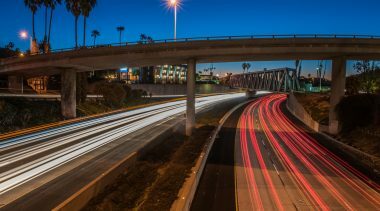 The $1.9 billion OCTA project to add express toll lanes to 16 miles of I-405 in Orange County received its $629 million TIFIA loan in late July. Earlier that month, the San Bernardino County Transportation Authority voted to proceed with the first such lanes in that county, extending 33 miles along congested I-10, at an estimated cost of $1.8 billion. SBCTA is also considering a project to add 33 miles of express toll lanes to I-15, which would link up with a similar project under way on I-15 in Riverside County to the south. Car Sharing Losing Out to Ride Hailing. Car-sharing companies that were all the rage last decade are having difficulty in the age of Uber and Lyft, according to a July 15th Wall Street Journal story. Hertz shut down its 24/7 sharing service in 2015, and Daimler’s Car2Go shut down operations in Miami, Minneapolis, and San Diego within the past year, but continues operating in some other cities. Enterprise Rent-A-Car closed down its car-sharing operations in six major cities “in recent weeks.” The only one that is not scaling back, as of now, is Avis-owned Zipcar. VMT Growth Continues, but It’s Mostly Urban. Data from the Federal Highway Administration show continued increases in total vehicle miles of travel (VMT) and in VMT per capita. But breakdowns into urban and rural VMT show different trends, with urban VMT climbing sharply and rural VMT gradually declining. Most of the urban VMT growth is in suburbs and exurbs, and that offers a clue to the urban/rural disparity. As metro areas expand outward, some roadways formerly classed as rural get re-categorized as urban, so the VMT on them is now urban instead of rural. But other demographic factors may also be at work, such as migration from rural to urban areas. On-Demand Shuttle Bus Service Launched in New York City. Chariot, an on-demand shuttle bus service already operational in Austin, San Francisco, and Seattle, has announced its entry into New York City, to initially focus on serving Manhattan and Brooklyn. Chariot’s app-based concept develops routes based on customer demand, rather than having a fixed plan. Ford Motor Company bought the start-up company in 2016, which likely gives it deeper pockets than Bridj, which went bankrupt earlier this year. Virginia Express Toll Lanes to Host AV Testing. A three-way, three-year agreement was signed last month among FHWA, Virginia DOT, and Transurban, the developer/operator of the express toll lanes on I-95 and I-495 in northern Virginia (the DC metro area). Testing will include speed harmonization, cooperative adaptive cruise control, and other advanced features. Initial tests will take place when the express lanes are closed to regular traffic, and later testing will take place during non-peak periods. Ukraine Considering Toll Road Concessions. Last month legislators in Ukraine introduced bills that would allow two-lane highways to be upgraded to toll motorways under long-term P3 concession agreements. This is similar to how such motorways are being developed in much of Latin America. Under the proposed legislation, the government would set maximum inflation-adjusted toll rates. New Tappan Zee First Span to Open in August. The first of two new spans that will replace the aging and undersized Tappan Zee Bridge is scheduled to open to traffic on August 25th. Initially, it will carry only westbound traffic, but after a temporary center barrier is added, it will also take eastbound traffic on a temporary basis, until the second span is opened in 2018. The new spans will be tolled, but the $3.98 billion design-build project is being paid for by a combination of state highway money and toll revenues from the entire New York State Thruway system. Germany to Toll Autobahns. Germany’s upper house, the Bundesrat, finally passed legislation authorizing all vehicles using the country’s autobahns (motorways) to pay tolls. The bill had been debated for about four years, and had already passed the lower house (the Bundestag). It has been criticized by neighboring governments as unfair, on the grounds that to avoid paying twice, German taxpayers will get a reduction in their current vehicle tax. German toll advocates point out the most other European countries charge tolls on their motorways, which Germans pay when they drive there, so it is unfair that foreigners drive German autobahns without paying anything. 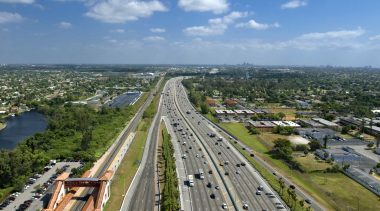 I-395 Express Lanes Project Financed. Adding the next link to the emerging express toll lanes network in the northern Virginia suburbs of Washington, DC, concession company Transurban reached financial close on the $475 million project to extend the express lanes on I-95 northward to the DC line on I-395. Financing consists of $233 million in tax-exempt Private Activity Bonds, a $45 million bank loan, and the balance (42%) in equity from the company. As with the I-95 lanes, this project will convert the existing HOV lanes and add an additional lane, to create three priced, reversible express lanes. Motorists Would Pay $1 Toll for Improved Brent Spence Bridge . The aging Brent Spence Bridge between Cincinnati and northern Kentucky needs to be replaced and the lanes on I-75 on both sides of the Ohio River need to be upgraded. The project cost is estimated at $2.6 billion. Kentucky has enacted P3 legislation, but due to local opposition to tolling, no financing plan has been developed. But a new survey by the Cincinnati USA Regional Chamber shows that a large majority (61%) would gladly pay a $1 toll for an improved bridge, compared with 33% who said they wouldn’t. Whether that will be enough to sway Kentucky legislators remains to be seen. U.K. Rail Concession Sells for $3.9 Billion. The 68-mile high-speed rail line from London to the Channel Tunnel (HS1) was acquired in 2010 by Canadian pension funds Borealis and Ontario Teachers’ Pension Plan, under a 30-year concession. They paid $2.8 billion. Because traffic on the route is growing, and interest in the facility was high, the two pension funds decided to auction off the remaining 23 years of the concession. The winner, paying $3.9 billion was a consortium of HICL (35%), Equitix (35%), and the National Pension Service of South Korea (30%). This concession is concerned only with the operation and maintenance of HS 1, not its construction cost. Bicycle Tax Enacted in Oregon. Last month the Oregon legislature enacted a $15 tax on the sale of bicycles costing $200 or more. The proceeds from the tax are to be used for bicycle and pedestrian projects. While some bike advocates were outraged, bicycle fan Rep. Earl Blumenauer (D, OR) said the tax is a sign that biking has grown up and gained acceptance. 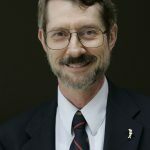 Observing these events, Colorado state Sen. Ray Scott, assistant majority leader, announced that he would introduce a similar bill for his state. Toll Agency to Manage Houston Metro’s HOT Lanes Tolling. The Harris County Toll Road Authority (HCTRA) has reached agreement with transit agency Houston Metro to handle all tolling and billing on Metro’s set of HOT lanes—on I-45, I-69, U.S. 59, and U.S. 290. HCTRA was already managing tolling on the Katy (I-10) HOT lanes, as well as the Houston area’s toll roads: Hardy, Sam Houston, Tomball, and Westpark. Since there are economies of scale in tolling back-office operations, the move is likely to reduce toll collection costs. Report Misunderstands Asset Recycling Concept. A conservative think tank, the American Action Forum, released a report that claimed “asset recycling” would be insufficient to pay for the Trump Administration’s $1 trillion infrastructure plan. It added up only $267 billion of federally owned non-defense fixed assets. That misses the point of asset recycling, as practiced in Australia and Canada. In those countries, just like in the USA, state and local government own most of the infrastructure. The concept is for the federal government to provide financial incentives to state and local governments to sell or lease revenue-producing assets to infrastructure investors and use the proceeds for new infrastructure that does not have a bondable revenue stream. California High Speed Rail Faces New Environmental Reviews. In a case involving a different rail project, the California Supreme Court has ruled that rail projects within the state are not exempt from review under the California Environmental Quality Act (CEQA). Previously, the state government had maintained that a federal law terminating the now-defunct Interstate Commerce Commission somehow made in-state rail projects exempt from state environmental reviews. The Court said that “We presume Congress does not intend to disrupt state self-governance without clear language to that effect.” A CEQA review could add up to four years and significant costs to the beleaguered California HSR project. El Paso Express Lanes to Be De-Tolled. The first (and so far the only) express toll lanes project judged a failure is on the Cesar Chavez Border Highway in El Paso. Open since 2014, its traffic has been light and its toll revenues have never covered its costs. So in response to local requests, the Texas Transportation Commission last month voted to remove the tolls from these lanes. The Need for Serious Benefit-Cost Analysis for Infrastructure. A detailed and thorough economic assessment of what is known about the benefits of infrastructure investments was released by the Cato Institute in June. In “Would More Government Infrastructure Spending Boost the Economy?” Ryan Bourne ends up concluding: it depends. Most conventional estimates of economic benefits come up short; the real case is for projects whose benefits—in making the economy more productive— clearly exceed the project’s costs. National Horse Trail Safety Administration (NHTSA). In an entertaining parody, autonomous vehicle pioneer thinker Brad Templeton imagines 1900 federal regulation of horseless carriages; it’s thought-provoking as well as entertaining. Go to: http://ideas.4brad.com/uncovered-nhtsa-levels-1900-satire.